Why go with Expediciones Chile? Since 1988 Valle Nevado has continually sought to provide the highest quality of Chile skiing and amenities. It is the youngest ski resort in South America with state-of-the-art facilities. Valle Nevado boasts 20,000 acres of terrain to explore, as well as ample heli or hike accessible backcountry ski terrain. In comparison, Whistler-Blackcomb in Vancouver, BC, North America’s largest resort, offers 7,000 acres. The resort of Valle Nevado is set at the base of the El Plomo Peak, which is the highest peak seen from Santiago. Its 18,000 feet (5,430 meters) dominates the surrounding slopes with many sudden and steep drops. With a helicopter one ski run may cover 8,000 vertical feet (2,438 meters). The Valle Nevado resort is in the company of the French Alps and the Himalayas for terrain. A European influence is apparent from the slopes to the nightlife to the three hotel accommodations. Experience Chile skiing at its best! 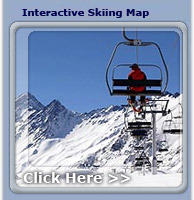 Skiing at Valle Nevado is above tree line, with its base at 10,000 feet (3,048 meters). Rocks and cornices are abundant, but wide-open spaces are the norm and perfect for linking beautiful, arching turns. There are eleven lifts at Valle Nevado, with the highest letting off skiers at 13,000 feet ( 3960 meters), with El Plomo peak rising high above another 5,000 feet (1,524 meters). A few canyons south are impressive 20,000-foot (6,096 meters) mountains that rival some of the highest peaks in the world. The jagged Valle Nevado skyline punctuates the horizon with crooked canyons and spiraling peaks. Dip your sticks in the creamy backcountry powder or rip out turns on the groomers. You can also try your tricks at the terrain park, where the Snow Board World Cup is held annually since 2001. There is also a ski school with group and individual lessons and a snow garden for the young ones. Regardless of your ability the options are endless at this massive Chile ski resort. After a full day of exploring the best of Chile ski terrain, give the snow a chance to accumulate and head in to enjoy the hotels. Take in a movie, work out in the fitness center, or enjoy a gourmet snack. You can also sing karaoke, see live music, or go dancing. Other apre ski options include art exhibitions, clowns, sports, diverse workshops, great shopping and game rooms. If what you need is a hot soak there is also a heated pool and Jacuzzi. Nothing beats Valle Nevado for skiing in Chile! Bars and discos go all night at Valle Nevado. You can explore the various atmospheres and music styles at your leisure. Anything you may like from quiet chats over a glass of wine, to dancing the night away under colorful lights. There is a nursery for children three to seven for those who would like a romantic night alone. This ski Chile destination has it all. Patagonia Adventure Travel in Chile. Chile Kayaking & Argentina Kayaking. Torres del Paine and FitzRoy trekking. Information on traveling in Patagonia, Chile. Secrets of Patagonia Tour on our website. Information about the Patagonia seasons in Chile & Argentina. Weather information. Patagonia sea kayaking from the Andes to the Ocean on Lago Yelcho. Fjords, hotsprings, extinct volcanos, temperate rainforest. Swiftwater Rescue Training Thinking about a rafting guide job on the Futaleufu? Check out our whitewater guide school & swiftwater rescue training course. Custom ecotours of the Futaleufu Valley that include bird watching and nature treks. Learn the eskimo kayak roll at our kayak school. Receive world class kayak instruction from our paddling school. Checkout the large group, instructional and corporate team building programs we offer. Information on Chile travel agent discounts and commisssions from Expediciones Chile. Horseback Riding in Chile and riding holidays with with genuine Guachos & Corralero Horses. Book your honeymoon travel trip at our Secret ranchito under the Tres Monjas towers. Our secluded honeymoon cabin. Ski ChileSki summer powder in the Andes. Ski Chile, Patagonia and Argentina. Outdoor internships and employment opportunities in rafting, kayaking and fly fishing. Experience genuine Chilean Culture on our adventure travel horseback riding and trekking vacations. Experience a genuine Chile Mountain Biking tour through Chilean Patagonia and Argentina. exclusive Wilderness Medicine course for medical professionals. con las mejores aguas blancas de clase mundial (5,4,3,). Kayak de mar, mountain biking, cabalgatas, sit-on-top kayaking cayoning, caminatas, pesca con mosca y mucho más aventuras podrás encontrar en el corazón de la patagonia Chilena, y desde el comfort de nuestro nativo y caluroso Hotel. Rafting en lel Río Futaleufú en Español.